Predators that climb, dig, fly and reach through fencing require different means of prevention. 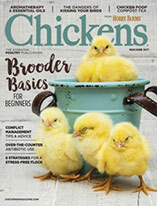 Here's how to guard your chickens against which ones. Once I visited the farm of an acquaintance and thought I’d stepped onto the grounds of a county fair. An open area was festooned overhead with long ribbons of orange, pink, yellow and green. It turns out his free-ranging chickens swirled through the 1⁄2-acre open area of fenced run. The ribbons were inexpensive surveyor’s tape (also called flagging) tied to posts and tree branches and running horizontally at least 7 feet above the ground. He’d decorated the plot this way after losing a couple of hens to hawks. The random crisscrossing pattern of colorful flagging moved in the wind and persuaded the winged predators to look for their chicken dinners on some other property. And the ribbons were high enough that chicken keepers could walk underneath unimpeded. I’ve probably met half a dozen former chicken keepers who’ve told me they gave up the hobby after losing chickens to predators—some with two wings, some with four feet; some wild, some domestic. That’s a sad story to have to tell, much less live through. But as in the story I just mentioned, of the chicken keeper who invested a few bucks and a few hours in stringing surveyor’s tape, persuading predators to hunt elsewhere doesn’t have to be difficult. Here are a few techniques that don’t involve making things. If you can sustain these, you might be able to avoid the time and expense of building predator barriers. Some roosters do a good job of scouting for raptors during the day, but others don’t. You might need more than one, or you might need to replace a slacker with one who has a warrior spirit. Raptors will figure that your plastic owl—originally invented to keep pigeons off buildings—has dibs on your chickens, but only if you move it every other day to keep them from thinking it’s dead. Some folks swear by coyote urine, although that might not help with raptors. The scent breaks down over time—more quickly in heat and rain. It always makes me wonder how much the person who’s collecting that urine gets paid? A well-trained dog—and its scent—might keep many predators away. But that works only if your dogs don’t want to take their pay in the form of feathered snacks. A professional dog trainer gave me a good tip: Resist the temptation of getting a puppy. You won’t know what its personality will be. A young adult dog can still be trained, and you’ll know how aggressive or obedient it will be. This paid off for me when my wife and I adopted a 4-year-old yellow lab. Our dog has almost zero prey drive and a healthy desire to please us, so our chickens are safe in the yard with her. On the other hand, she believes that new chicks are squeaky toys for her to play with, so we have to keep them separate. 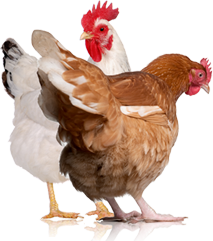 Because chickens are popular with many kinds of predators, you’ll need different features for different creatures. 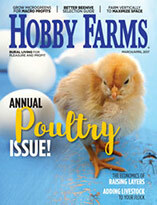 You need to persuade hawks, falcons and owls that dive-bombing your flock won’t pay off. The inexpensive, yet expansive, array of surveyor’s tape mentioned previously works because it would either snag a wing on the way in or on the way out. For smaller runs, covering the top with chicken wire—or plastic netting—will also work. Note: If your run is under trees, horizontal fencing will be stretched and damaged by falling branches and piles of leaves. It will pay to add 45-degree diagonal wooden framing over the run to attach the fencing to. It will look like the outline of a roof except with chicken wire instead of shingles. This angle will allow branches and leaves to bounce off and blow off, so your “roof” will last longer and look better. 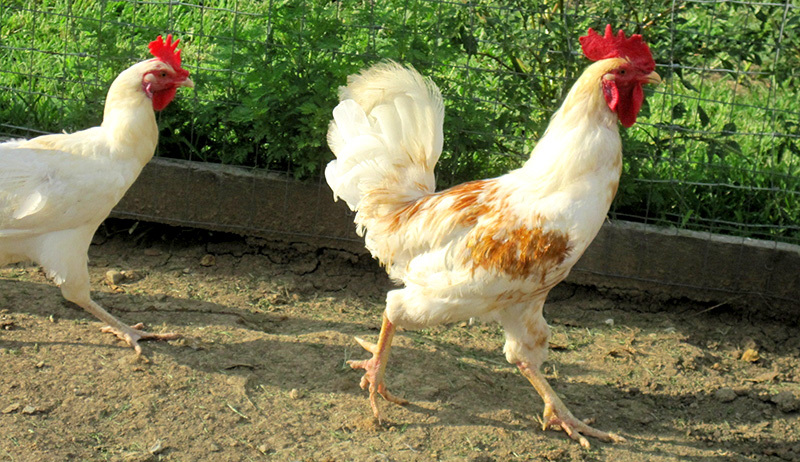 These are the critters most likely to kill urban and suburban chickens. A property surrounded by 4- or 6-foot-high fencing will keep most stray dogs at bay. Without that, or if your own dogs are a risk factor, then the sides of the run should be enclosed by fencing that is stronger than chicken wire. An average, motivated dog can rip chicken wire apart with their teeth. The best alternative is 14-gauge, welded-wire fencing with openings that are 2-by-4 inches. Some people use dense, hardware cloth to enclose a chicken run, but I think that is overkill and it can be expensive—more on that later. Raccoons, possums, weasels, etc. can climb all over a run and a coop at night. They can’t chew their way through fence wire like a dog can, but they can chew their way through plastic netting if you use that over the run. Even if your chickens are safe in their coop at night, one of these predators might gnaw through the plastic netting and hunker down in the run until dawn, patiently waiting for its breakfast. The same goes for windows and ventilation openings on the coop. It’s best to cover these with chicken wire or roll up some chicken wire to stuff in any gaps in the framing. Drive a nail or screw through these rolls of wire to keep critters from moving them out of the way. The usual suspects include raccoon, opossums, foxes, coyotes, weasels and dogs. Many sources advise installing the run’s fencing 12 inches underground to block digging predators. This is a lot of work, and the fencing will only be effective for a few years. Wire fencing is made of steel that is coated with a thin layer of zinc to keep the steel from rusting. This works in the open air, but when this type of metal (called “galvanized” after the process) is in contact with soil, organic acids oxidize the zinc and expose the steel so that it will rust in a few years. How long? That depends on moisture: The wetter the ground is, the quicker the underground portion of the fence will rust. If yours lasts five years you’re lucky. And remember, digging the trench for that bit of underground fencing is a lot of work, as will be the effort to replace it after it has rusted away to brittle bits of metal. A better practice is to let the fence only reach as far as the surface of the ground. Then wrap the base of the fence with an “apron” of 14-gauge galvanized wire fencing that extends 12 inches over the surface outside the fence and 12 inches up the run fencing. You can buy a 2-foot-high roll of fencing and cut it into manageable lengths of 3 to 5 feet. Bend the wire at it’s middle at a 90-degree angle so the fencing looks like an “L” from the side. Then snip off the bottom and top horizontal lines of wire, leaving “fingers” of wire at the top and bottom. Place the L against the run fencing and bend the top fingers over the fencing to hold it in place. Bend the bottom fingers down 90 degrees so they can be pushed into the soil. Spread mulch over this apron or sow grass seed. When a digging predator comes to the run fence and tries to dig under it, your apron will block them. Yes, it will rust away after a number of years, too, but it will be far easier to see its condition and to replace it when the time comes. A longer-lasting alternative barrier to an apron fence is a layer of tennis-ball-sized stones covering the 12 inches outside the fence. Weasels and raccoons are wily enough to grab a chicken’s head if it reaches through the run fencing. And a chicken can poke its head through the 2-by-4-inch openings of 14-gauge fence wire. That’s why some sources advise using expensive and stiff hardware cloth, with its small openings of ¼- or ½-inches for the run fencing. This is where the apron you installed (described previously) does double duty. Not only does it keep digging predators out, but if overlapped properly, the openings in the run fence will be too small for this kind of fatal interaction.